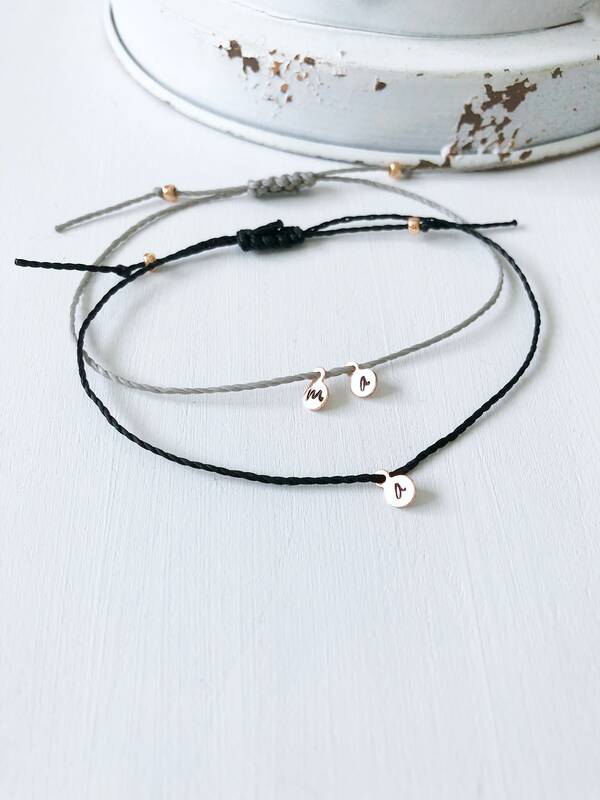 This delightful, minimalist rose gold bracelet, personalized with the initial of your choice, is the perfect gift to give to your best friend as a custom friendship bracelet or for anyone on any occasion! 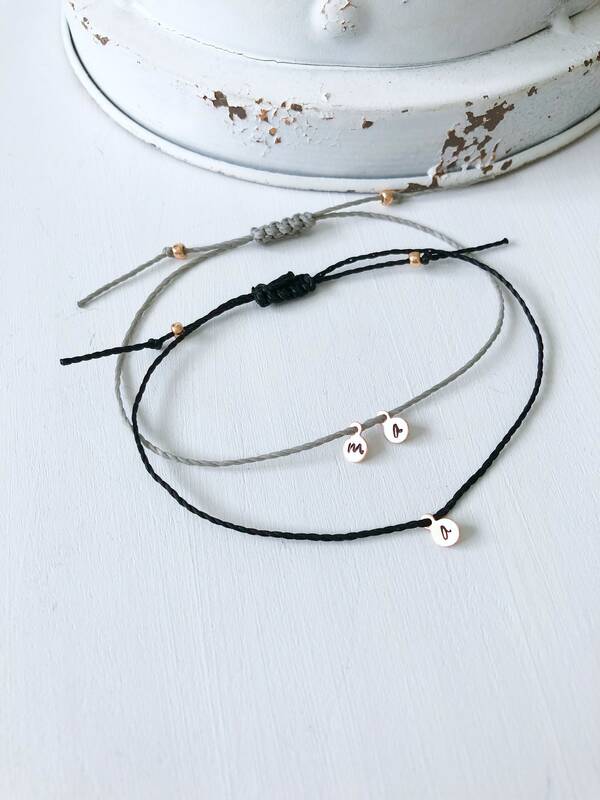 You can buy multiple bracelets for the stylish stacked look or stack multiple charms on one bracelet! 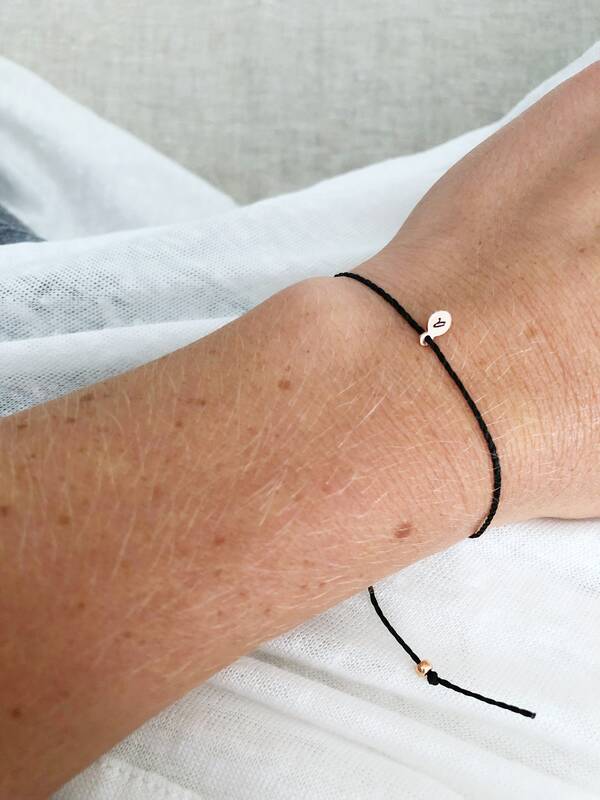 *The layered look seen in photos 6 and 7 is created with the everyday stacking bracelet. 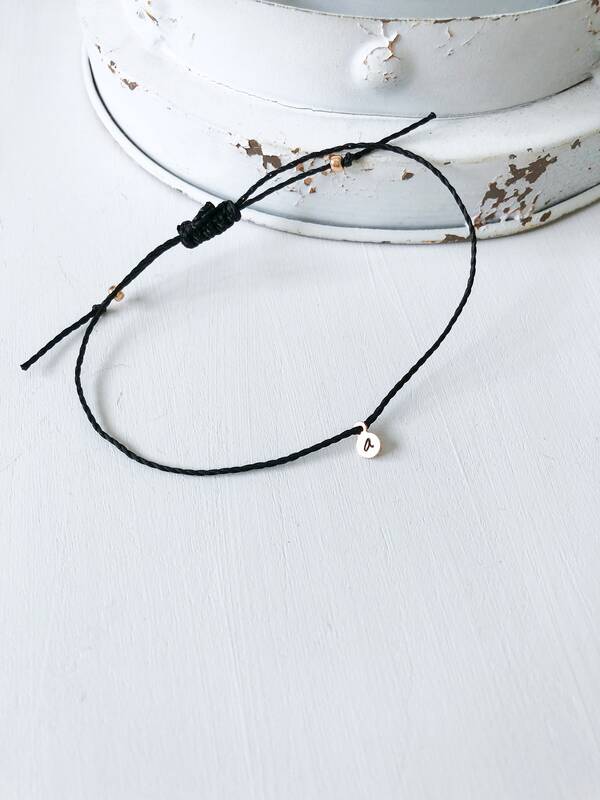 Made with durable waxed Linhasita thread and a tiny rose gold filled charm hand stamped with the initial of your choice in ImpressArt's basic bridgette lowercase letter font (see font style in last picture). 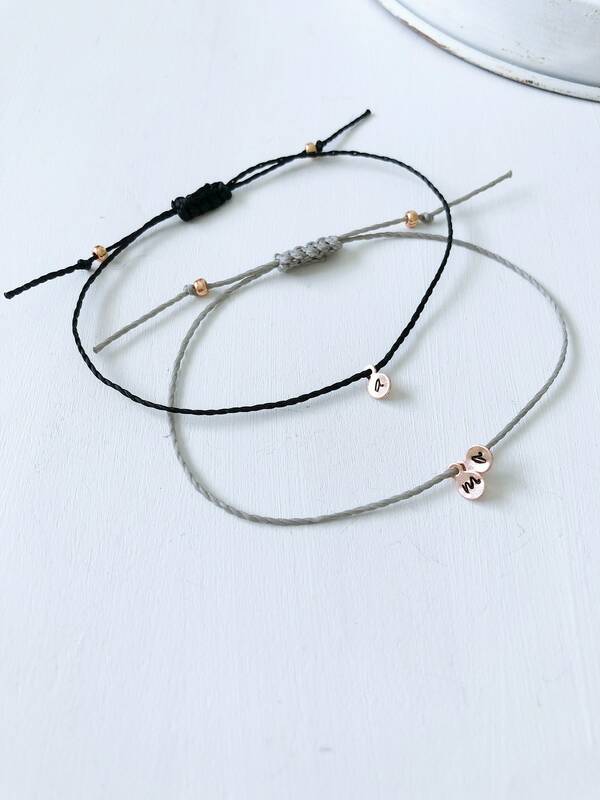 The bracelet is made adjustable with a sliding knot closure and the ends are finished off with two rose gold seed beads. 3. Indicate the initials you want by clicking "add to cart" or "buy it now" and letting me know in the "add additional note to seller" box. 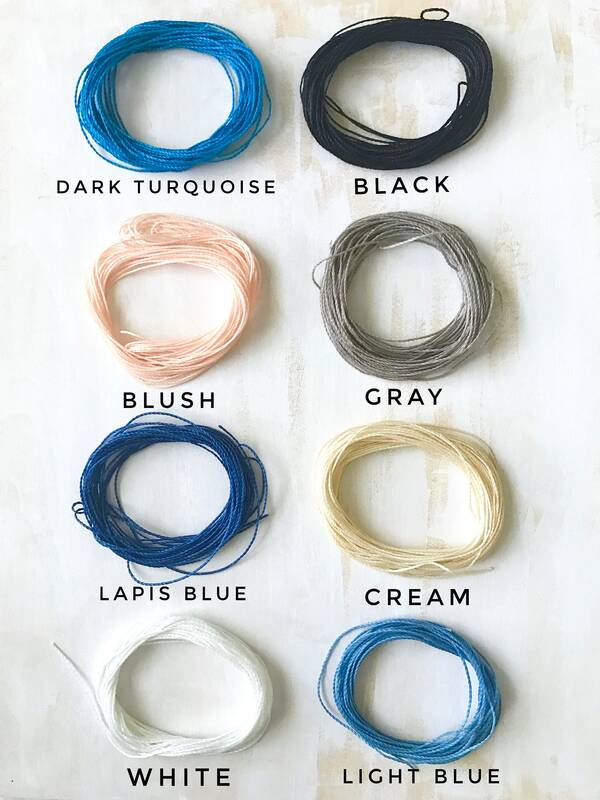 • Remove bracelet before cleaning, swimming, and doing sports activities / working out as these activities cause unnecessary wear to your charm and beads. 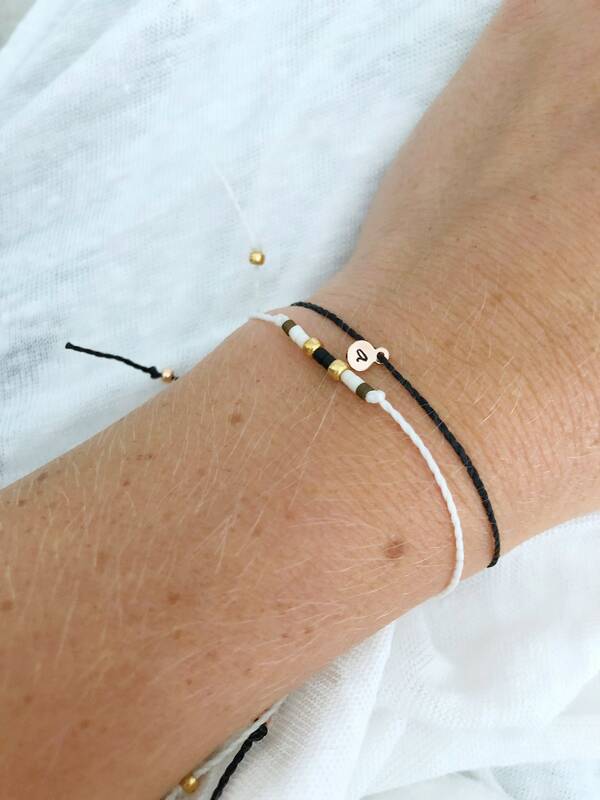 Try to keep from exposing the bracelet to chlorine, salt water, oils, lotions, perfume, detergents, harsh chemicals etc. 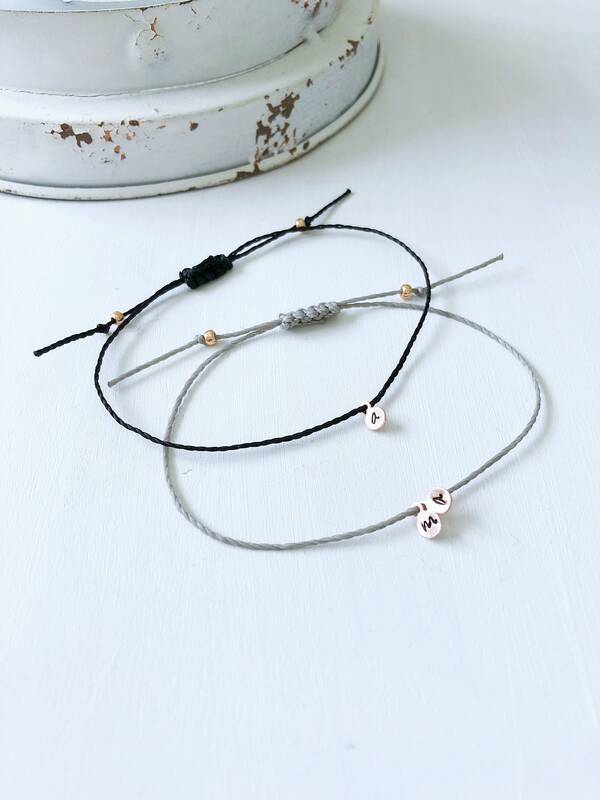 as these may change the appearance of the bracelet and/or cause discoloration and wear. Be aware that a high skin pH can cause your charm to darken slightly. Amazing! 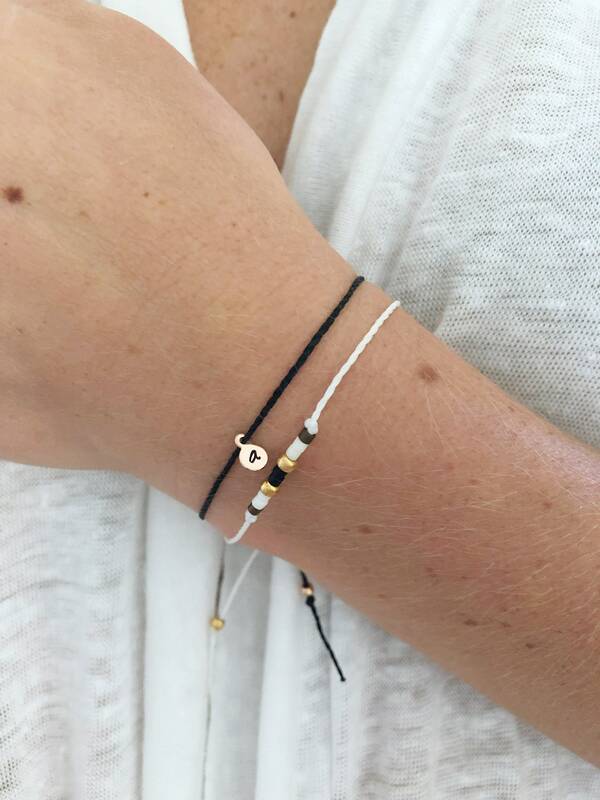 Beautiful bracelets and the loveliest store owner you could ever hope to deal with. So happy.